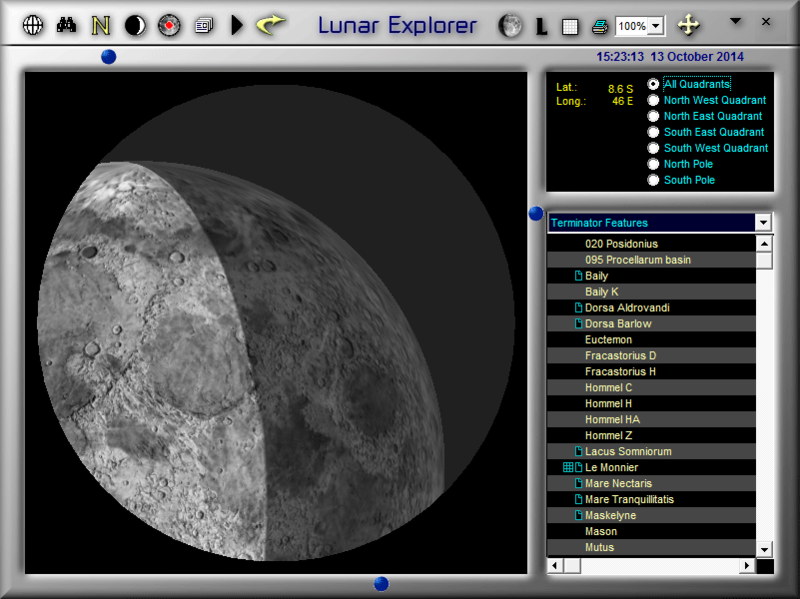 Windows 3.0 program to predict moon phases. MoonTool for Windows is copyright 1991 by Altmania Productions. The current version is 0.4.
supported by MoonTool for SunTools version 2.0. There are is one new features in this release. No changes were made to the equations. program Iconized in which only a White Box would appear. performance cost caused by the use of StretchBlt instead of BitBlt. equations listed in the books. zone. All three characters are required. For example, the string "PST"
could be used to represent Pacific Standard Time. UTC (GMT) in hours. Positive numbers adjust westward from UTC (GMT). calculation of the UTC (GMT) from the local system time. to represent Pacific Daylight saving time. If TZ is not present then the string "EST5EDT" is assumed. * Help options to describe the information displayed. data, Daylight Savings Time flag. postions, and Eclipses for any date and location. * User Defined Moon Phase Update Frequency (currently every 10 minutes). * Use of a Real Bitmap of the Moon. I think this is enough of a dream for the moment. are obligated to delete all copies of it that you might have lying around. notifications of future releases and the ability to order a FREE upgrade. All correspondence will be responded to.